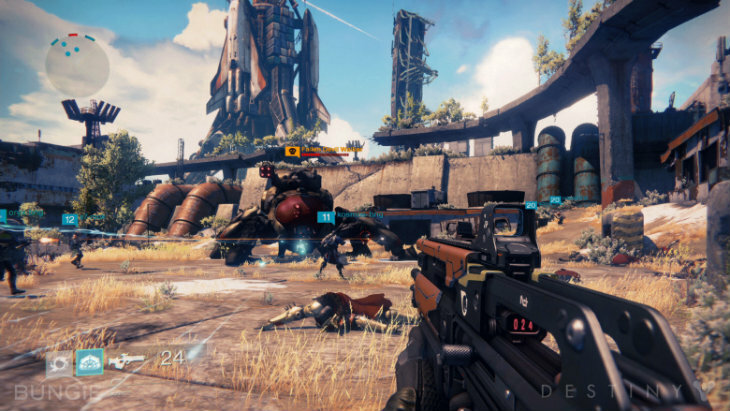 Destiny to earn $600-900 million this year? I love the fact that there are so many analysts and researchers in the field of video games. The latest batch of research sounds quite in-depth, and appears to indicate that the massive investment in the Destiny IP could well pay off sooner than expected. According to Cowen’s Ordometer, which tracks US video game orders before launch and then correlates the results to sales after launch, Destiny could be the top-selling game of the year. In analysis published on Venture Beat, Cowen Research analyst Doug Creutz believes that Destiny could sell 10-15 million copies, roughly $600-900 million at retail. Destiny has the highest Ordometer score of any game tracked over the past four years and could outsell Call of Duty: Advanced Warfare. On the opposite end of the spectrum, Battlefield Hardline isn’t looking too good – its Ordometer score is below that of Battlefield 3 or 4. Ubisoft is showing strong titles this year – Assassin’s Creed: Unity and Far Cry 4 are seeing plenty of advanced interest; however The Crew appears to be “dead on arrival”. In the end, it’s all a bunch of analysis and things could still change. However, it’s encouraging to see a new IP doing so well at launch, assuming Destiny lives up to the expectations. With such high pre-orders, it’s an excellent sign and will hopefully mean that we will see more big studios investing in new games instead of just re-making existing successful titles. Also, I’m really excited to see how high Assassin’s Creed, Far Cry 4, Dragon Age and Shadow of Mordor are on the list. All these games blew me away at E3, and it will make me really happy to see them do so well this year. I just need to figure out when I will have time to play them all – why must all the excellent games release at the same time? Next article Get down, face the wall and watch this trailer for INTO THE STORM!